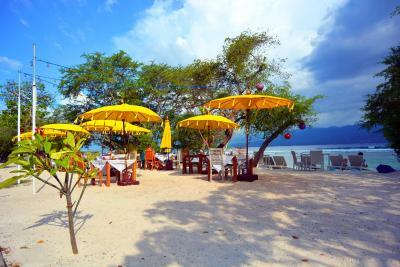 Lock in a great price for The Trawangan Resort – rated 8.3 by recent guests! I liked the ambience of the resort. Their location is 10 minutes walking from the harbor so no need to worry about renting a vehicle. On top of that they have their own beach for guests. 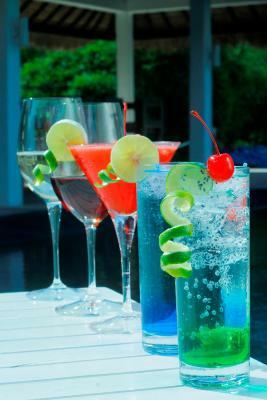 You can relax, order food and drinks. ***Hidden gem alert*** you’d be stupid not to stay here. The villa with pool was insane. Definitely worth the price. We were the only ones here due to the earthquake. 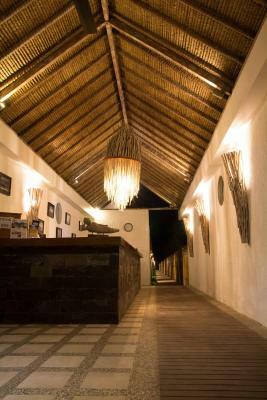 Half of gili T was flattened but this place is solidly built and no damage suffered (shows the quality). Great pool, happy staff!! Clean room everything worked, just far away from the bars to be quiet and close enough for just a lil walk !! Friendly and welcoming staff. Amazing beachfront. Away from the center of town and the 2 mosques so you're not up all night. We were also upgraded to a deluxe room which was nice. Good breakfast. Staff were amazing, couldn't have been any more helpful. Food was great! The property is in an excellent location, away from the bustle of the main beach, it close enough to walk there for dinner, shopping etc. The beach opposite the resort is beautiful and good for swimming, walking and surfing. You can hire push bikes and ride around the island. 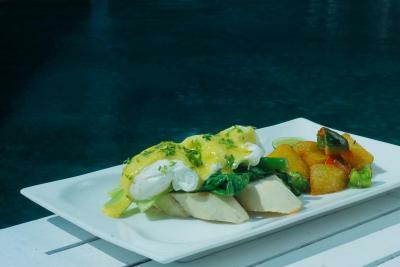 The breakfast was fantastic, some of the best we have had in Bali! All of the staff were friendly and happy, always able to answer questions and give advice. 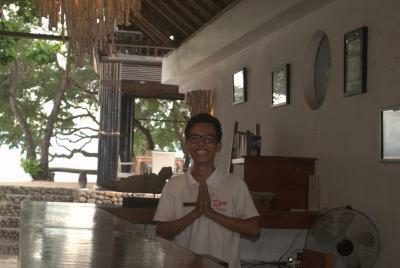 Good breakfast, smiling staff, by the beach. Bikes for free. 1 km from the port and close to the market. Nice and clean stay. Friendly and helpful staff. Location is really good, the resort has its own seashore with sunbeds. There is a possibility to get the breakfast near the beach, with a lovely view. 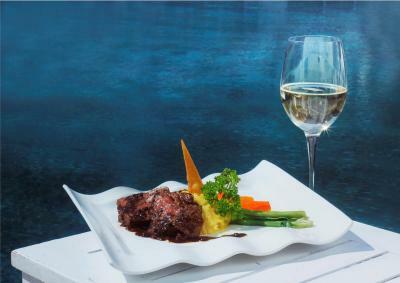 The food was also great, there is a pretty wide range of choice (a'la carte). You can also have dinner and lunch there (our booking included the breakfast, but we also had there dinner twice at good price/value). The staff was really kind and helpful in all respects, this was a really good experience for us.. We stayed in a 2 bedroom villa with a pool inside. The villa itself with its accessories was great and nice (like on the pictures), we enjoyed staying there. The Trawangan Resort This rating is a reflection of how the property compares to the industry standard when it comes to price, facilities and services available. It's based on a self-evaluation by the property. Use this rating to help choose your stay! 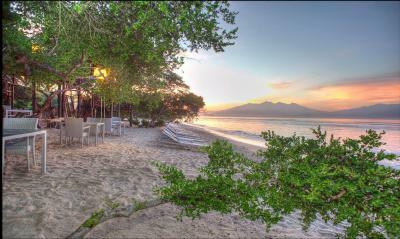 One of our top picks in Gili Trawangan.Located along the southeast coastlines of Gili Trawangan, this luxurious resort provides tastefully designed accommodations fitted with fine furnishings. 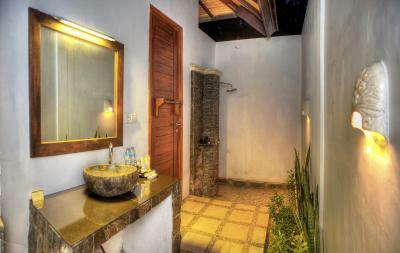 Some villas boast a private swimming pool and kitchenette. 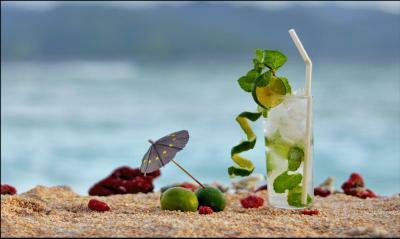 The resort provides a sun terrace and free WiFi. Featuring modern Balinese décor and tropical garden and ocean views, the rooms are all fully air conditioned and well equipped with a flat-screen TV a mini-bar. 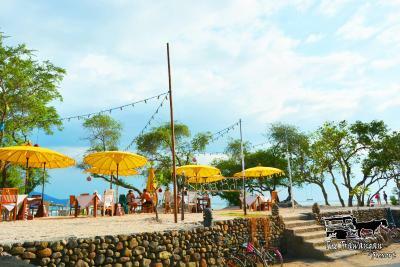 The resort is a 2-hour drive from Lombok International Airport and a 2-hour fast boat ride from Benoa Harbor, Sanur Beach and Padang Bai Bali. 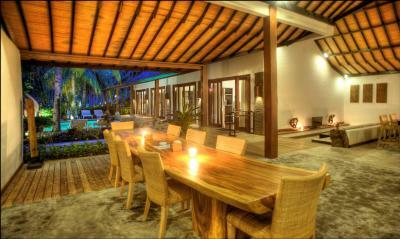 Trawangan Resort is set away from the central party zone, but still close enough for easy walking to nightlife options. 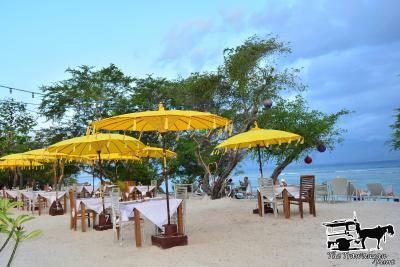 Local and western cuisine is offered for breakfast, lunch and dinner. The tour desk can assist guests with visits to popular attractions. 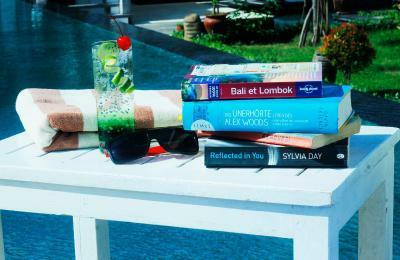 When would you like to stay at The Trawangan Resort? 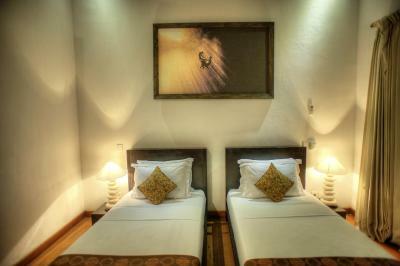 A cozy and air-conditioned room featuring warm and calming colors, which overlooks the garden. It is well equipped with a TV, a safe and a mini-bar. 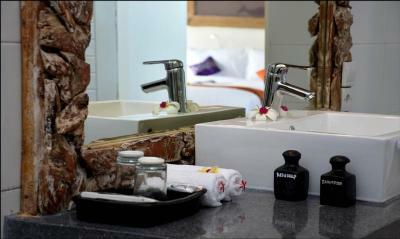 It has a private patio and modern bathroom fitted with an outdoor hot and cold shower facility and free toiletries. 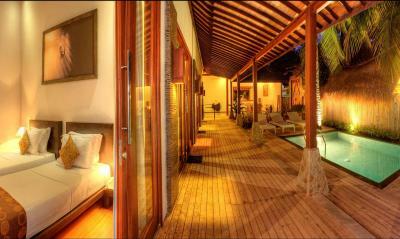 A spacious and well equipped villa which overlooks the garden and swimming pool. 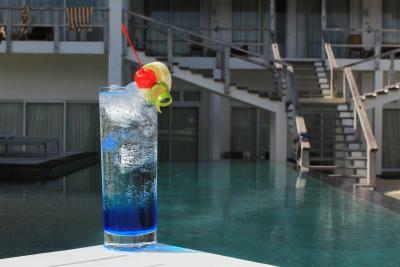 It is well equipped with a flat-screen TV, a safe and a mini-bar. It also features a private patio, a kitchenette and a modern bathroom. 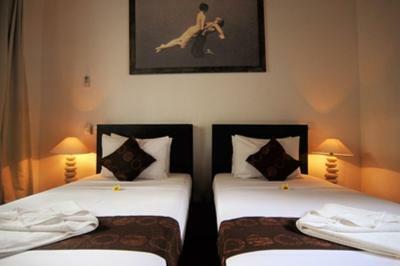 This double room features a DVD player, flat-screen TV and seating area. This triple room features a DVD player, electric kettle and mini-bar. 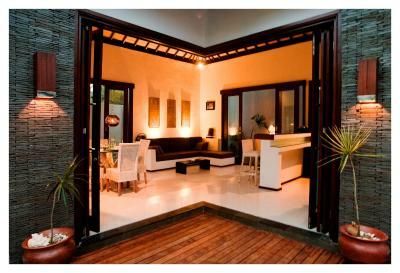 This villa has a private entrance, DVD player and tile/marble floor. Guests enjoy airport transfer from Lombok International Airpoort to Teluk Kode by private car, then transfer to Gili Trawangan jetty by private speed boat, and finally transfer to hotel by horse cart. This twin/double room has a DVD player, flat-screen TV and patio. Guests enjoy airport transfer from Lombok International Airport to Teluk Kode by private car, then transfer to Gili Trawangan jetty by private speed boat, and finally transfer to hotel by horse cart. This villa has a patio, sofa and DVD player. This villa features a flat-screen TV, seating area and DVD player. 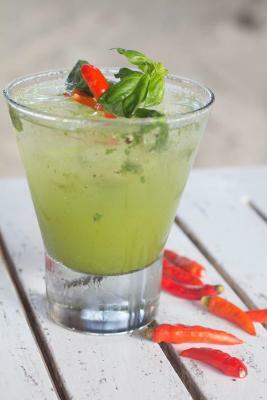 House Rules The Trawangan Resort takes special requests – add in the next step! Children 1 and older are allowed at this resort village. 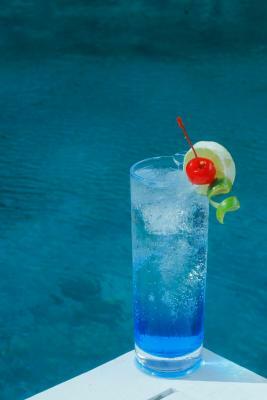 The Trawangan Resort accepts these cards and reserves the right to temporarily hold an amount prior to arrival. Pool was under construction so not able to use. WiFi was none existent. Dirty sheets and towels. Would go to get a clean towel after a shower and notice they were just the dirty wet towels we left on the floor the day before to be changed. Their pool water wasn’t clean and fresh. The villas are awesome.... liked the location. Very good staffs. From the start of our stay the staff were always so helpful and friendly and made sure that our stay was the best it could be. We stayed in one of their villas which was amazing 😊 Place was very clean and food + cocktails were so good! Can’t fault this hotel at all, can’t wait for our next stay! Nothing. Don’t be a peasant. Myself and 3 friends rented a villa here for 3 nights. We arrived before check in time and the staff were really friendly. They gave us water, cold towels and some towels so we could use the pool area until the room was ready. The villa itself was lovely, clean, and private. The staff were all very friendly. Location was good for us too. It is half way from the harbour to the sunset beach so it was nice and quiet at night but close enough to the party if we wanted.